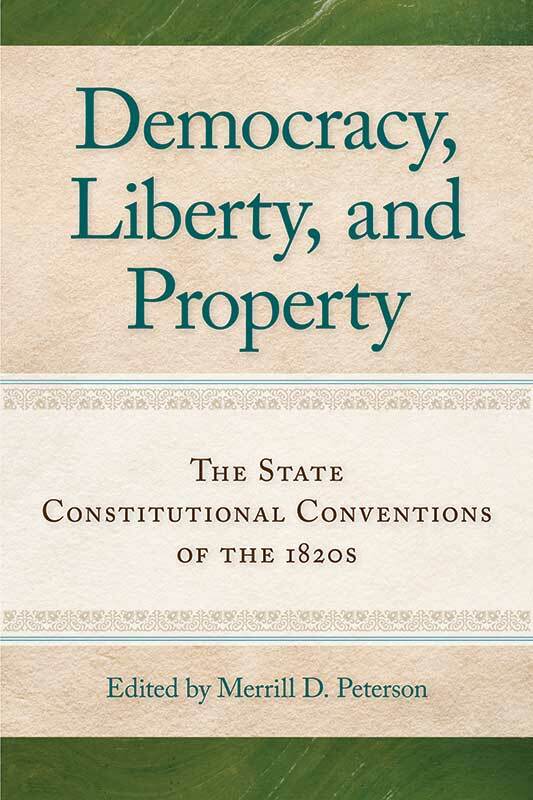 In one volume, Democracy, Liberty, and Property provides an overview of the state constitutional conventions held in the 1820s. With topics as relevant today as they were then, this collection of essential primary sources sheds light on many of the enduring issues of liberty. Emphasizing the connection between federalism and liberty, the debates that took place at these conventions show how questions of liberty were central to the formation of state government, allowing students and scholars to discover important insights into liberty and to develop a better understanding of U.S. history. The debates excerpted in Democracy, Liberty, and Property focus on the conventions of Massachusetts, New York, and Virginia, and they include contributions from the principal statesmen of the founding era, including John Adams, James Madison, James Monroe, and John Marshall. Merrill D. Peterson (1921–2009) was Professor Emeritus of History at the University of Virginia and a noted Jeffersonian scholar. G. Alan Tarr is Distinguished Professor of Political Science and Director of the Center for State Constitutional Studies at Rutgers University–Camden. Foreword, suggested further reading, introduction, selected bibliography, historical introduction to each of the conventions, chronologies, headnotes, analytical tables, index.